Contributions, guest posts and suggestions are most welcome! So, to start us off, and just because it’s one of my most favourite things my wife most hates. 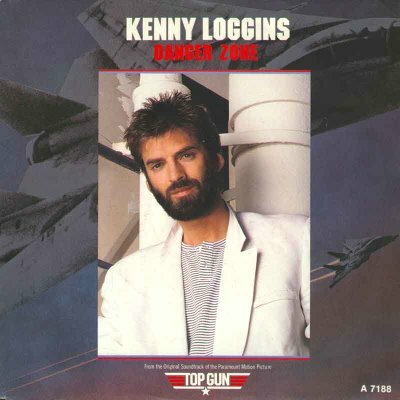 Specifically, Top 10 80’s songs. Now, I accept that there are vast swathes of 80’s music that I don’t know anything about (and from what I remember of that time, for the most part I am profoundly grateful for that) and that the 80’s has a very different colour depending on where in the world you live. So mine will be heavily UK biassed, but as I’ve been in Australia for few years (heading towards 5 years now..) so there might be a few that are new to you all! 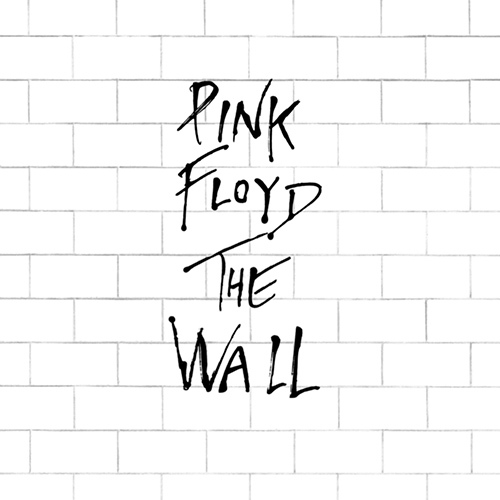 1980 – I think this was the year I first started listening to the radio – I remember hearing Blondie, The Stranglers, Abba, but the the song that stuck out the most for me I think was Pink Floyd – Another brick in the wall, as I remember it being played in the school disco and taking great delight at yelling out ‘Hey, teacher, leave those kids alone’ I have to give an honourable mention to Spandau Ballet here with ‘to cut a long story short’ – I remember listening to that record in Andrew Valentine’s house on his 10th birthday and also ‘Echo Beach’ – Martha and the Muffins, cos it’s still a regular feature in my playlists. Also Teardrop Explodes and ‘reward’ – They were pretty instrumental in setting up the indie music scene, spawning The Smiths and Echo and the Bunneymen. 1981 – this is a bit of a bunfight for a winner as there are so many good ones out that year – Shakin’ Stevens, Adam and the Ants, The Specials, Soft Cell (damn that was almost a win for them) – but I think I’m going to have to give it to the band that snuck in right at the end of the year – The Human League – Don’t you want me – oh yes, its the start of the new romantic era. Break out your grey duvets with red stripes and picture of a white Lamborghini Countach Yes, I know you had them!! 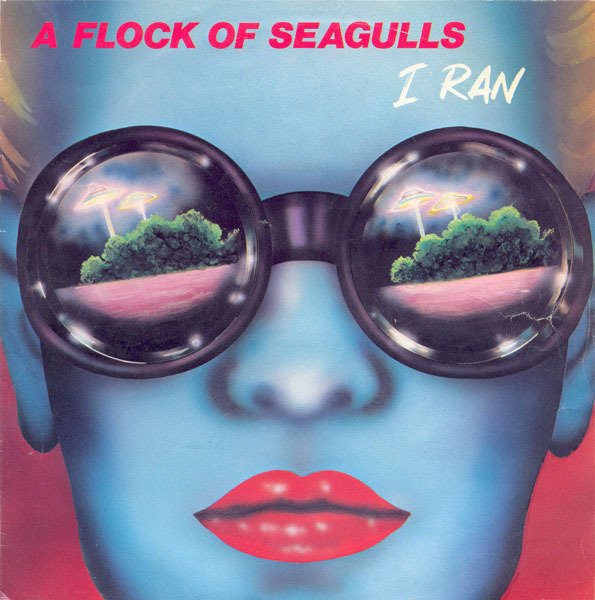 1982 this is going to be easy – A flock of seagulls – I ran – a perfect example of early 80’s synth new romantic pop. They had to see off more Adam and the Ants too. I might have to come back and give them co-billing..we’ll see!! 1984 struggling to separate the wheat from the chaff here – Madonna, Duran Duran, Wham, Kenny Loggins, Van Halen, Bruce Springsteen, Laura Branigan, Cyndi Lauper, they’re all contenders – so who to pick. 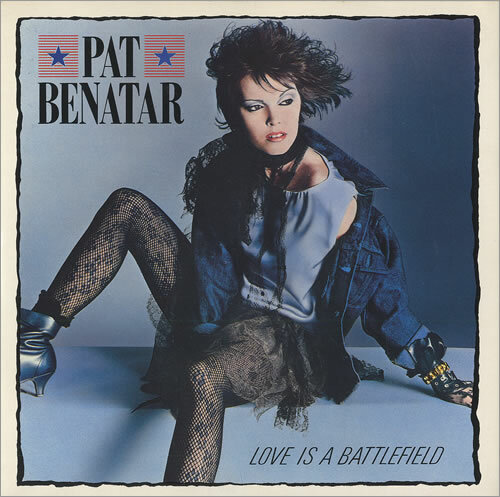 Well, after a long think – Pat Benatar – Love Is A Battlefield Who doesn’t remember the dance? it was a very close run thing with Michael Jackson and Thriller – that was a pretty defining song for that year. Actually, I almost forgot – Simple Minds – Waterfront. Sorry, Pat, you’re gong to have to share top billing..I can’t not mention them!! 1985 This is one of the years that I remember most – I was making mix tapes from the Top 40 like crazy in 85!! So many good songs. I’m going to bring an 80’s classic from Aus into the mix – ‘Pseudo Echo – a beat for you’ – they did a copy of funky town a few years later which was a global hit, but this was way better IMHO. 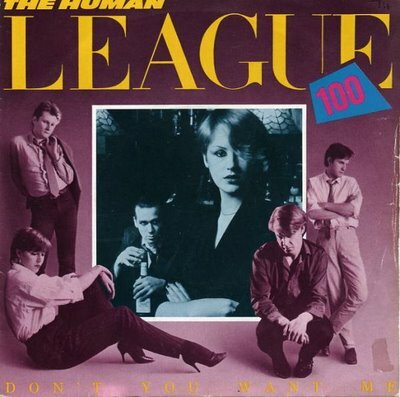 They’re not the winners, how can they be – they’re competing with Wham – Careless Whisper, Madonna – Like a Virgin, Tears for Fears – everybody wants to rule the world, Starship – we built this city. And then theres Frankie Goes To Hollywood, Pet Shop Boys, Billy Idol and Bryan Adams. How to choose???!! 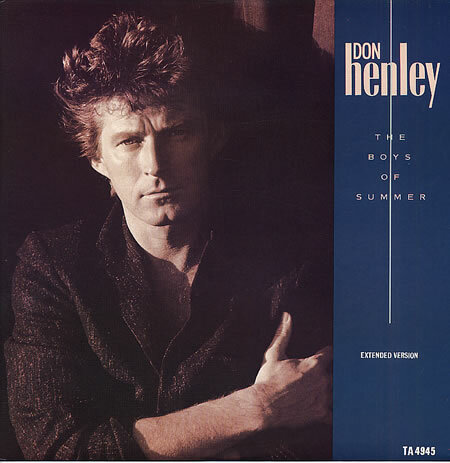 But the winner for me is Don Henley – Boys of summer. ‘I saw a death head sticker on a Cadillac, a little voice inside my head said never look back, you can never look back’ Iconic. 1987 We’re straying off the best of the new romantic era and into soft rock ballad territory and I haven’t given one award to Duran Duran or Ultravox! so I think I might have to give honourable mentions to U2 – With Or Without You with an to Duran Duran – Notorious. 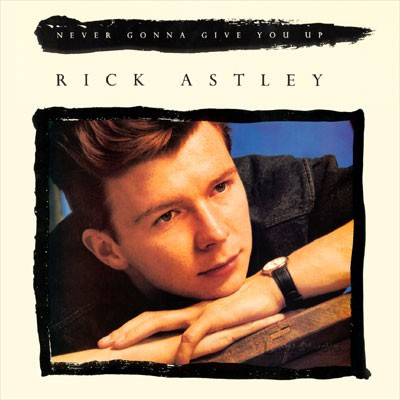 But the the clear winner – Rick Astley – Never gonna give you up. He defines the Stock Aitken Waterman years!! 1988 – I think I’d stopped making mix tapes at this point! INXS were everywhere in the charts – Michael Hutchence was on every teenage girl’s bedroom wall – New Sensation was probably their best song this year and came close to getting the gold..buuuuuttt…they were competing with George Michael in his prime too Faith was one of his best. But still not a winner. 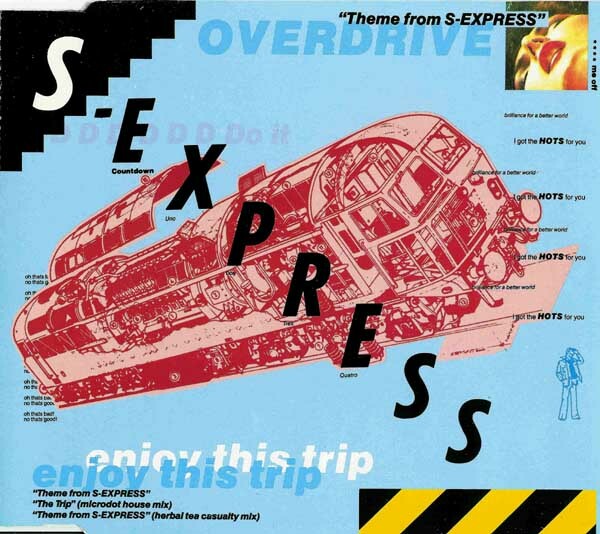 It has to go to S Express – the theme from S Express. ‘Thats bad..no, thats gooooood’ . Debbie Gibson can have an honourable mention with ‘shake your love’ cos she was cute. 1989 – last in, best dressed. Or something. The 80’s was almost done and Grunge was coming. You could smell it in the wind. And on every teenager across the land. Nirvana and Sound Garden were warming up in the wings… But the 80’s being glittery and famous for big hair and makeup wasn’t done yet. Oh no. Yes, I’m talking to you, Poison – ‘Every rose has it’s thorn’. Sadly, power ballads and synth pop were still en vogue and En Vogue hadn’t been invented yet (they would stomp onto the screens in thigh boots in 93, if you’re interested) and New Kids on the Block were hanging tough in a very unconvincing way. 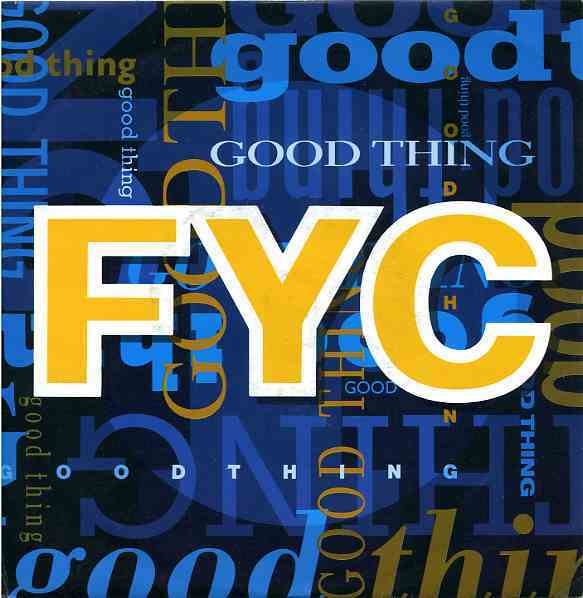 Anyway – B52’s – Love Shack gets a mention, as do The Cure with Lullaby – by ultimately, there can be only one – and I’m giving it to Fine Young Cannibals – Good Thing That’s how to play the piano. I’ve missed out so much – Haircut 100 from the early 80’s, Bananarama (who could forget), Lloyd Cole, OMD, Miami Sound Machine, Vanilla Ice, Kylie Minogue, lots and lots of Madonna and a load of Thomas Dolby, Nik Kershaw, Howard Jones, Depeche Mode and Simple Minds. Ah well, thats the way the cookie crumbles. Go on a little YouTube adventure and see where it takes you.. So, what next for Top Ten? ← The best bit about autumn – clouds. Loving the 80’s count down – fair to say that mine is very similar – though where’s the A-ha and surely Billy Idol deserved a bigger mention? But we did live in the same house sharing the same dodgy record player so not surprising that I share your taste in music really! thanks 🙂 A-ha nearly got a mention actually – there are so many others – Madness, Ultravox, Billy Idol, Billy Ocean, Queen, Dire Straits, Wet Wet Wet, Psychedelic Furs (Pretty in Pink), Visage, Frankie Goes to Hollywood – the list could be almost endless. Great post taking me down memory lane. Seems music and the 90s is the obvious next stop. Why I can’t double like this page??Why?? Your top 10 is great! hehe – thank you!! your comment reminded me – I need to do another Top 10 post soon!